STOKED! 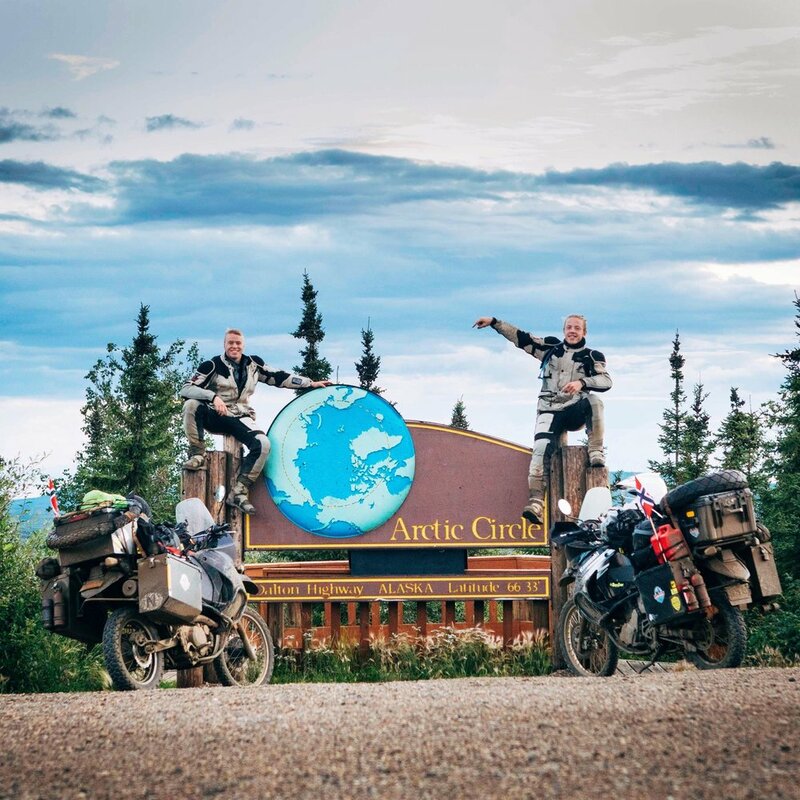 We made it the entire way up the Dalton Highway to Prudhoe Bay. The road up here can be described as a muddy, slippery road with way too much loose gravel, scary pits and a total length of 666 km/414 miles. The most demanding and challenging road we’ve both ever ridden, but we didn’t mind. We had lots of fun, despite heavy rains and some close calls. The awesome view along the road was a true Alaskan experience on both the wild life and nature. Never before have we seen such remote wilderness, the road is so remote we had to bring extra gas cans to be able to make it the entire way. We could drive for up to an hour without meeting anyone along the road and of course no cell phone service. The journey was great, and we are now refueling, recharging our batteries and getting ready for the way down south. This is the official starting point of our adventure, and from now on its only southbound towards Argentina.